In Rock Creek park, CEO Digby Tamerlane of Chione, which seems to be Amazon light, kills a 12 year old in a hit and run. There is only one witness, and that is where “The Ethicist” comes in. He offers to eliminate the witness because statistically, her life is worth less. Turns out The Ethicist is none other than Gerald Todd Klepper, a doctor from Newark who murdered 17 patients, in the 28 years since he escaped. See he’s been living a new life thanks to Dr. Hans Kohler. Klepper comes up with the concept of “VSL” the value of statistical life, and that is what he bases his murders on. Whomever is determined to have a more valuable contribution to the world is who gets to live. He’s still killing today under his new identity, so that’s a good reason for the task force to hunt down the Angel of Death. But Liz isn’t hunting him down for good. She wants to find him because he might know who Red really is. Liz eventually catches up to Klepper, and learns the name of the nurse who treated both him and Red at that time. But it also leads to an interesting conundrum. Be sure to answer our profiling question of the week: Would you have given Klepper the gun? Visit ourfeedback page to leave a response or call +1 (304) 837-2278. Here are a just a few of our favorite scenes from this week. Two songs this week. As the show opens we hear Dominic Halpin’s “Everything’s Just So Fine” as Tamerlane drags the 12 year old child into the woods after hitting them on their bike. 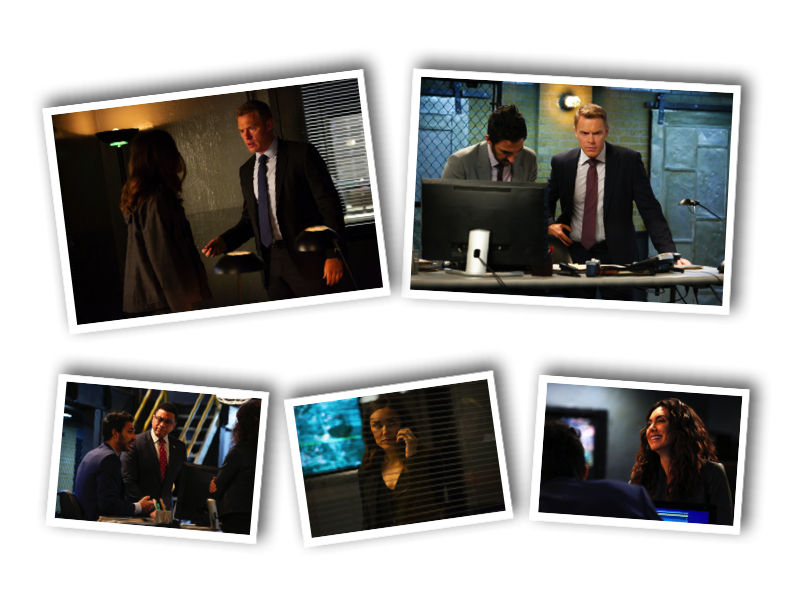 Then when Ressler confronts Liz about her devious ways we hear “World Undone” by Calexico. You can hear these songs via the official Blacklist playlist on Spotify or the same playlist recreated by us on Apple Music. Each week of The Blacklist Exposed will take a deep look at both the minor and major plot lines to this fantastic series. Be sure to subscribe and review us in Apple Podcasts, Stitcher, or through whichever podcast app you prefer. Also check out our other Golden Spiral Media Podcasts. Are you loving this episode of The Blacklist Exposed? Then make sure you check out our past episodes going all the way back to season 1! Or if you are a long time listener, listen to one of your favorites like “Cape May”, “Dr. Adrian Shaw Conclusion”, or one of our many interviews with Jon, the cast, and crew. Details, details…I’ve worked on locked psych units for over 30 years, and the material on the snack machine and the bird cage would be made of shatterproof plastic. Such rooms are also furnished with chairs too light to hurt you (plastic) or tables too heavy to throw, these chairs (metal) wouldn’t have been in such a unit, but a truly minor detail. The psychologist’s finding of being an imposter would have been revealed with the Rorschach. My professor in grad school was able to determine if the Hillside Strangler actually had multiple personalities, as his defense, (he didn’t), despite widely different answers on the cards (looks like a bat, or cat or whatever) as what is impt is how the perception is used (shading, lines, color, edges, contrast, texture), not what it looks like (cat, bat, cow). His use of those perceptual elements were constant across ALL supposed “personalities” despite the different answers about what it looked like. What was not accurate is in court saying that Red is “insane” which is a legal, not a psychiatric term, and not a diagnosis. It would not be in a psych report, even a forensic one. Comments on previous medical issues. In The Pharmacist, the government doesn’t regulate clinical trials. These are usually reviewed by an Institutional Review Board (IRB) where the research will be done (hospital, medical school, university etc)which reviews the plan and consent form. A patient would hate to have a consent form written just by the researcher w/out review by others to make it honest & unbiased (used to be my job). Dangerous research is done all the time, people need to be informed subjects first (see Nuremberg Trials, which served as the basis for current research standards). Samar’s brain injury was due to lack of oxygen, (hypoxia) which starts doing damage after @ 6 minutes. Since the damage is global (all over,like a blast wave from an IED) not focal (like a crowbar on your skull in one spot), and depending how long, she is likely to have multiple cognitive deficits. She has shown some problems with word finding, expressive aphasia (producing words), but not receptive aphasia, (understanding incoming words), she shows problems with executive function (ordering, sequencing) like dialing 1-1-9 instead of 911. Given how functional she is at present, she is likely to improve, sometimes I’ve been amazed how bad some people are initially, and how they recover to near or fully normal. However, given the nature of her accident, she would have had full neuropsych assessment prior to discharge, I’d never let someone out without testing, given what happened to her (I know, TV). And as an aside, while the writers may have done research in the law for the courtroom scenes, they haven’t done much research in psychology. Our Lizzie is one of the dumbest psychologists I’ve seen (even interns). Her lack of self-awareness is remarkable, and her lack of psychological skills & insight w/ Red, Black Listers & others is not really believable. This season they had Red telling her about the studies of how many secrets people keep at any given time, when she should have been telling him. She’s a bit of an embarrassment in this regard. Good she has a govt job. Anyway, love your program, listen every week, & let me know if you have medical/psych questions you’d like to consult me on.